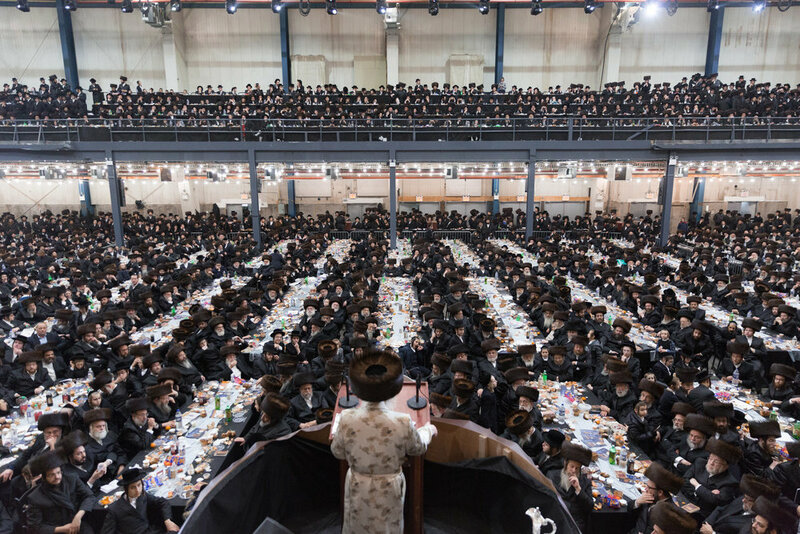 I first heard of the Satmar Hasidic community Kiryas Joel as a junior in high school, a three-hundred student Yeshiva in the Bronx. My Talmud teacher Rabbi Silberstein invited some of the students in my class on a trip to “KJ,” as he referred to it, for Lag BaOmer, a holiday that takes place about a month after Passover. I grew up in the niche yet oxymoronic “modern orthodox” Jewish community. I kept strict kosher, didn’t work on the sabbath and adhered to other traditional laws, but along with the rest of the community was still immersed in American popular culture. Most of my friends had two working parents, and growing up I felt more American than Jewish. By contrast, Kiryas Joel is Hasidic, or Ultra-orthodox. Following the creation of Israel in the 1940s, Lag BaOmer -- traditionally a holiday commemorating the death of the founder of Kabbalah -- was repurposed as a Zionist holiday. One of the primary tenets of the Satmar community is their fierce anti-Zionism. The logic is that Zionism and the State of Israel prevents the messiah from coming, their interpretation of the bible is that that in order for Jews to return to the land of Israel, God himself must intervene and return Jews to it. 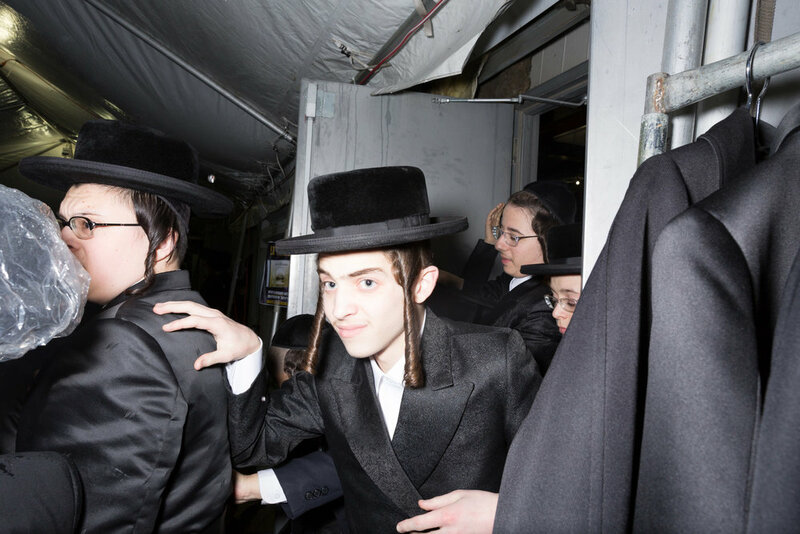 Each year in KJ, about 25,000 people dance and sing outdoors in an attempt to reclaim Lag BaOmer from Zionism and bring it back to its roots as the anniversary of the death of Rabbi Shimon bar Yochai, the founder of Kabbalah. I resolved to make the trip on my own. But while Judaism remains a large part of my life, I no longer exist primarily in the Orthodox world and was worried about just going to a Hasidic town without warning. I’ve never had Peyot (side curls) or worn a black hat, so as an adult male I knew I’d stand out immediately even if I wore a yarmulke and dark clothes. After some intense Googling, I found an email address that included the word “Satmar” followed by three numbers. The address supposedly belonged to a man named Mordechai. I emailed a long note and received a response only two minutes after sending: “k thanks. contact yitz” with a phone number included. And thus began my friendship with Yitz. Yitz and I are alike in a lot of ways. Well we are remarkably similar given that he is a 31 year old Satmar Hasid who lives in the upstate New York shtetl of Kiryas Joel with his wife and their eight children. 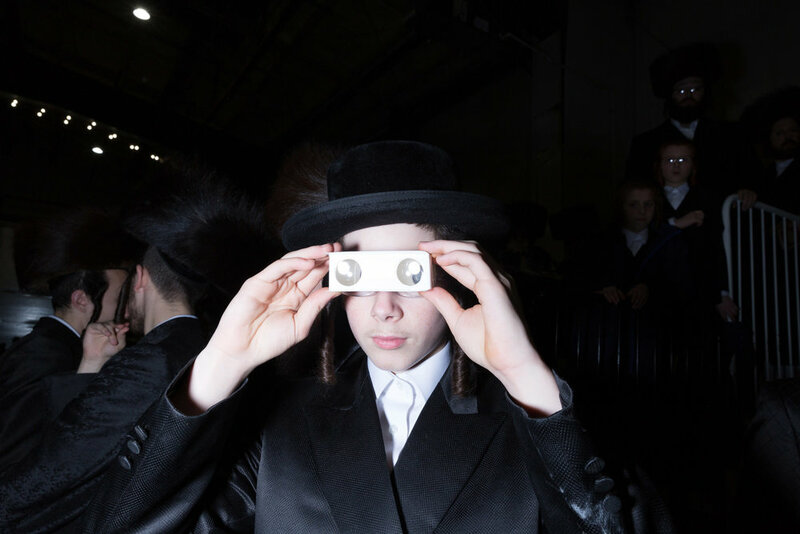 Yitz wears Hasidic garb at all times, he’s always in a long coat, and always has a black hat or a fur Streimel on his head, which is neatly trimmed with exception of his long Peyot. The first time I met him I was struck by how thick his glasses were -- he must have the strongest prescription glasses I’ve ever seen. When he speaks, he does so methodically and interjects English with his first language Yiddish, while sprinkling in Talmudic phrases in Aramaic. Yitz will occasionally deal with members of the outside world, be they journalists or hired labor in the town. But it is rare for Yitz to encounter people like me who exist in both the Jewish world and the liberal world. I get the sense that he appreciates me being able to not miss a beat when he references a passage in the Talmud, and then without blinking move on to the news and politics. Our relationship is symbiotic – we each get a glimpse into a foreign world. When we first met, I had no idea what Yitz thought of me. I couldn’t tell if he was putting on a show because I wanted to photograph the community and he wanted me to represent them in a positive light. But I quickly learned that in this community, what you see is what you get. Unlike many other communities, there is an intense closeness among the Kiryas Joel Satmars. It appears to me that they love to exist within that comfort and therefore act differently than, well, anyone else I’ve ever met. I now understand that Yitz wasn’t putting on a show at all. What I initially interpreted as him keeping tabs on me was in fact just pure fascination. Yitz and I talk almost once a day. Each week he makes sure to call me just before the sabbath. During almost every conversation I have with him, he asks me about getting photographs of the community published. I explain that I’m simply taking photos as part of my personal work and try to tell him that I’m not always taking photographs for a publication, but that does not always register. The Satmar dynasty started in what is now Romania in the early 20th century, moving to Williamsburg after the Holocaust. When the founding rabbi, Joel Teitelbaum, died without children, his nephew Moshe became Grand Rebbe. After Moshe died, his first-born son Aaron was expected to inherit the seat, but the Rebbe had designated his third son, Zalman, in his will – which led to a schism. This was further complicated by the allegation that shortly before he died, the Rebbe’s advisors had encouraged this elevation of Zalman. Today, people suggest all kinds of explanations: some suggest that the Rebbe had Alzheimer's, others say that the advisors feared that the first-born would have too much power. After a lengthy legal battle in Rabbinic court, it was concluded that Aaron, his first born, would be in charge of Kiryas Joel, a town upstate near West Point of about 25,000, while Zalman, the third born, would be lead Williamsburg, another community with almost 100,000 Satmars. Kiryas Joel was started at the end of the founding Rabbi’s life, beacuase he felt that the community needed an escape from the distractions of secular city life in New York. Everyone I’ve spoken to within the Satmar community downplays the divide, but I still don’t fully understand how it plays out. It’s like having two Presidents. How does it work? Two hours before Shabbat, Yitz calls me. And so on a recent snowy Saturday night in the Bronx, I saw for the first time the two large communities of Satmar KJ and Satmar Williamsburg interact. 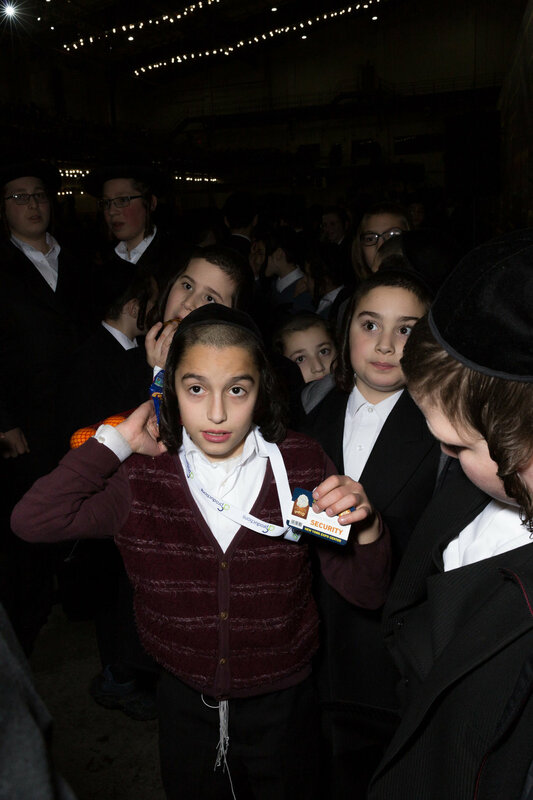 Over 50,000 Satmars, mostly men and a handful of women who watched from a distant room through a small window, from both Kiryas Joel and Williamsburg came together to celebrate the 74th anniversary of the Grand Rebbe’s escape from the Holocaust. People swarmed the center in matching minivans or in buses specifically chartered for this event. On the main floor, hundreds of tables were set up with just enough room for everyone to sit shoulder to shoulder. Up in the balcony, there were bleachers set up facing the stage where the Grand Rebbe Aaron was sitting. I could tell immediately that there was a large contingent from Williamsburg. Satmars from Williamsburg are much more proficient in English because they regularly engage with the secular world, unlike those from KJ. Yitz took out a handkerchief and wiped his brow. It was 1:15 am. He looked at me and said, “It was a very powerful speech, no? Jackson Krule (@jacksonkrule) is a photographer living in New York. His photographs have appeared in The New York Times, Vice, The New Yorker, Vogue, Travel + Leisure & The Village Voice. Krule studied photography, earning a BFA from New York University’s Tisch School of the Arts in 2014. Prior to pursuing a full-time career as a photographer, Krule worked as a photo editor at The New Yorker.